Project undertaken for a total equipment supplier for a 268 bedded hospital in Sarawak in March 2000 and successfully completed and handed over to the Ministry of Health. Project undertaken for a Project Management Consultant Firm in May 2000 to review the total equipment supplied to a 800 bedded Selayang Hospital and advise on the costing of the equipment. Project undertaken for a Turnkey Contractor in September 2000 for the total equipment consultancy for the proposed 1,500 bedded Psychiatric Hospital in Tampoi. The scopes beside the medical equipment consist of vehicles- internal & external, loose furniture and also kitchen equipment. Project undertaken as a Project Management Consultant in November 2000 for medical and non-medical equipment including loose furniture consultancy for a 250 bedded secondary & tertiary care hospital in Wardieburn, Kuala Lumpur. The contract was awarded. 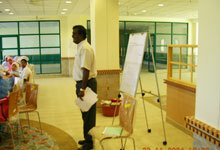 Project undertaken in year 2001 for total equipment consultancy for 500 bedded Teaching Hospital in Temerloh, Pahang. The scope beside the consultancy in Medical equipment and non-medical equipment inclusive of procuring service. The hospital was handed over on a scheduled time. 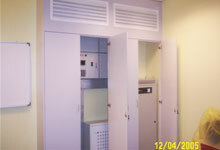 Project undertaken from a Turnkey Contractor in September 2002 for total equipment consultant for 400 bedded Psychiatric Hospital in Aman Jaya. The scopes include the planning works for the medical equipment consists of Vehicle internal & external, loose furniture and also kitchen. Project undertaken for a Project Management Consultant in January 2003 for medical and non-medical equipment including loose furniture consultancy for a 268 bedded primary and secondary care hospital in Kluang, Johor. 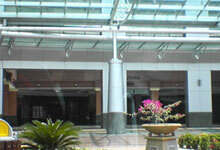 The project was awarded to the Turnkey Contractor in 2007. Project undertaken to prepare the Bills of Quantities and specification for Medical Consumables for the Northern Iraq Hospitals Central Store. Quoatations are called and all the necessary information is provided to facilitate the purchase of Consumables equivalent to USD 7.0 Million in 2004/2005. Project Planning service provided as a total equipment consultancy for 300 bedded Tertiary Hospital in Jeddah in year 2005/2006 . The service is provided to a turnkey Contractor who bids for the contract. The scopes beside the medical equipment consist of Vehicle for internal & external transportation, loose furniture, Catering Department and the Laundry set up for the Hospital. Procurement service and Warranty Management Service provided for the Turnkey Contractor for the entire procurement of Medical equipment, non medical equipment, loose furniture and vehicles for a 268 bedded Military Hospital in Wangsa Maju, Kuala Lumpur. 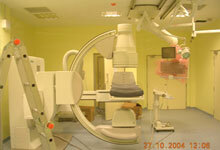 Thi project undertaken in 2006/2007. Defect Liability Period Warranty Monitoring for the Government of Malaysia in Hospitals. The project is undertaken in 2007. Skilled personnel are palced in each hospital to monitor all the equipments are functioning on an optimum standard. Follow ups are made to ensure warranty benefits is enjoyed by the hospital. Project undertaken in 2008-09 for a Libyan turnkey Contractor – Al-Raqia group in Equipment Planning and Technical Advisory Service for the upgrading of the Hospital to a 400 bedded multi-discipline hospital. 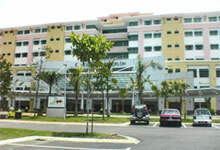 Project undertaken for a Turnkey Contractor in 2008 as an equipment planner for a new block of Maternity Centre in the Kuala Terengganu General Hospital. Project undertaken for a Turnkey Contractor as an equipment planner in 2009 for a 60 bedded District Hospital in Rompin, Pahang. This Hospital is designed to serve the rural population to provide the necessary healthcare service. Project undertaken in 2010-2011 as a equipment planner and total turnkey supplies for the various Medical, Non Medical Equipment, Medical Furniture and Loose Furniture. The upgrading involves setting up a Cardiac Lab, Major Operation Theatre for Open Heart Surgery and expansion of bed strength from 171 beds to 455 beds.